APHLN is a landmark, pan-African network of national public health laboratories promoting collaboration and coordination to address healthcare priorities in Africa. Through an established communication network. The African Public Health Laboratory Network (APHLN) is a collaborative group of laboratories, which have expertise and implement surveillance and provide services to detect and respond to disease threats and outbreaks. ASLM purpose is to lead the development of an African Public Health Laboratory Network (APHLN) that will empower and facilitate practical solutions to sharing regional laboratory services and facilitating cross border transport of specimens for diagnostic testing. What is ASLM’s Lab Mapping Project (LabMaP)? ASLM’s Lab Mapping Project (LabMaP) aims to establish a system for the collection, storage and analysis of GIS-linked data on laboratory capacity, systems and networks in Africa. The project is funded by the Bill & Melinda Gates Foundation and contributes to achieve key objectives under the laboratory network pillar of the Africa Centres for Disease Control and Prevention(Africa CDC). Technical assistance for the development of the information technology component was provide by inSTEDD http://www.instedd.org. 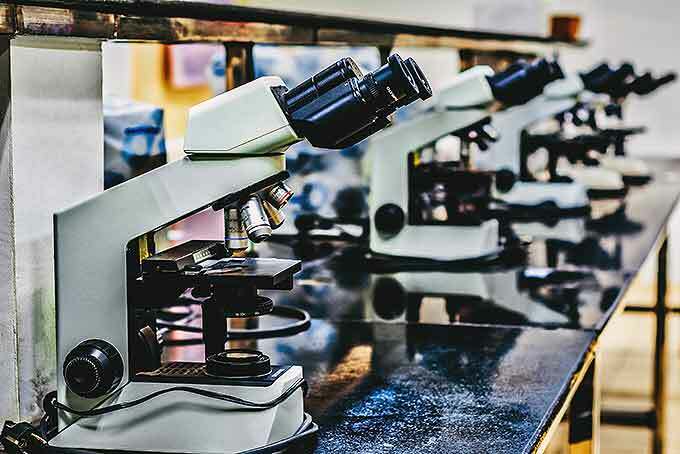 LabMaP provides a solution to countries that are ready to inventory geo-located information on their laboratory systems, in support of evidence-based decision making. Comprehensive data on laboratory capacity can be collected and updated easily through local, country-owned systems. Such a system helps to support decision making for optimisation of networks for particular purposes, e.g., optimised coverage for meningitis confirmation, optimised capacity for antimicrobial resistance testing. Obtain an quick overview of gaps between standards for laboratory service delivery and a current situation. Inform the development of diagnostic services with optimal geographic and population coverage and maximize the impact of clinical and public health outcomes. Inform the optimisation of regional laboratory networks and systems, e.g., a cross-border sample referral system as part of disease surveillance and preparedness for outbreak response. Collection occurs through an electronic interface allowing the data to be uploaded to a central database for curation, subsequent sharing and analysis. Data collection can be done offline or on any Android device. Data collection usually commences with data from high-level laboratories, with support from ASLM. In the second phase, data collection is progressively expanded to lower-level laboratories through country-owned, locally organized procedures. Access to the data is formalized through a data-sharing agreement between countries and ASLM. Complete datasets can be accessed by ASLM and Africa CDC. Each country has full access to its own dataset with the possibility of linkage to their own health data management system, such as the District Health Information System, version 2 (DIHS-2). Stakeholders and health organisations may access data upon request. All requests should be made to ASLM where they are subject to review and approval from all respective countries. Only general, non-sensitive data are shared, after Ministry of Health approval, through public ASLM portals. How can a country join the LabMaP initiative? To date, Niger, Ethiopia, Zambia, Zimbabwe, Malawi, Congo-Brazzaville, Democratic Republic of Congo, Cameroon, Central Africa Republic (CAR), Gabon, Chad, and Sao Tome and Principe have joined LabMaP with support from ASLM and Africa CDC. Any country expressing interest in the process should contact ASLM(info@aslm.org) and Africa CDC (africacdc@africa-union.org) through its Ministry of Health to be enrolled in the programme.